Every week I bring you the latest SEO News. This week’s stories are about blocking ads, the perfect blog post length and publishing frequency, local SEO audits, Google’s search console and tools and tips for managing remote teams. Well, it’s official. Google doesn’t like overly intrusive ads like pop-ups on websites. This sounds counterintuitive, doesn’t it? After all, Google makes its money from advertising. However, as a search engine, Google’s number one priority is to make a searcher’s experience a positive one. And, just as Google put sites with mobile interstitials on the naughty list earlier this year, it’s now taking a stand against pop-ups and other annoying ads. When you’re not in an office, you lose the ability to swing by someone’s desk for a quick chat. That can be a time-saver. But sometimes you really need to know the answer to a question that second – not hours later when an email gets returned. The perfect blog post length or publishing frequency doesn’t actually exist. “Perfect” isn’t universal — your content’s success depends on tons of personalized factors. In today’s Whiteboard Friday, Rand explains why the idea of “perfect” is baloney when it comes to your blog, and lists what you should actually be looking for in a successful publishing strategy. Better notification system for new issues. “Why are those folks outranking me in Google’s local pack?” If you or a client is asking this question, the answer lies in competitive analysis. You’ve got to stack Business A up against Business B to identify the strengths and weaknesses of both competitors, and then make an educated guess as to which factors Google is weighting most in the results for a specific search term. Well that’s it for SEO news this week. 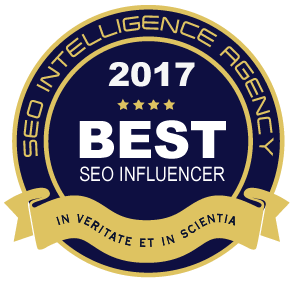 Hope you have a great week and if you want to reach out to hire me for SEO please contact me here.